You are buying the Water Manometer Fisher & Paykel 900HC224, manufactured by Fisher & Paykel. Fisher & Paykel is a leading manufacturer of CPAP Machines and CPAP accessories. At ADW Diabetes, we offer the complete product line by Fisher & Paykel with great savings and excellent service. You are buying the Water Manometer Fisher and Paykel 900HC224, manufactured by Fisher and Paykel. Fisher and Paykel is a leading manufacturer of CPAP Machines and CPAP accessories. At ADW Diabetes, we offer the complete product line by Fisher and Paykel with great savings and excellent service. 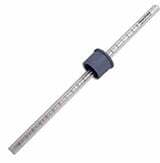 The water manometer consists of a new Fisher and Paykel water column manometer with instructions. These items are lightweight and travel well. Making a measurement takes only a minute. This device needs no calibration and is always accurate. Get a good night's sleep with the exact machine pressure prescribed.